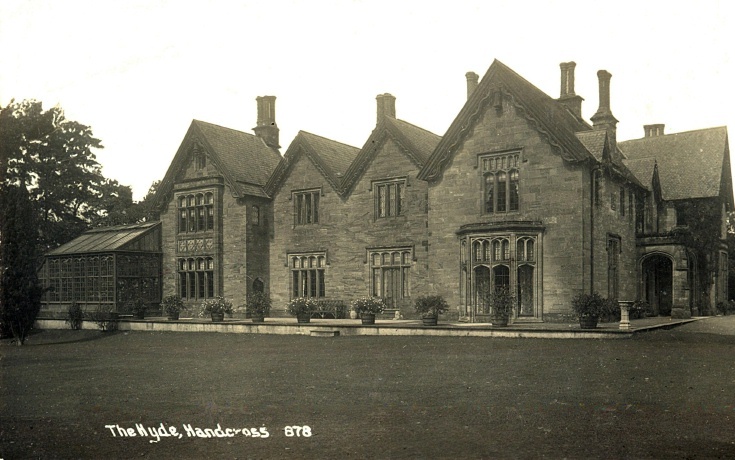 The Hyde house with a more open aspect than nowadays. A glasshouse is shown attached to the house. Perhaps this would nowadays be called a conservatory, but no doubt at such a prestigious house it was called an orangery or something similar. It appeared as an all-glass construction on a map of 1874, but was replaced early in the 1900s as can be see on picture #54.